Home News Tunkhannock Public Library Joins SPARK! Tunkhannock Public Library Joins SPARK! More great news! 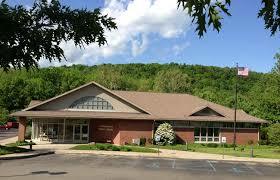 The Tunkhannock Public Library will be joining SPARK. Locating in Wyoming County, the addition of this fine library strengthens the presence of SPARK in Northeastern PA as they join their neighbors the Lackawanna County Library System and the Susquehanna County Library. This creates great possibilities for sharing and coopera tion! They will be migrating in just about one year.